Power-to-X (PtX) is phrase to indicate the production of renewable fuels (either gaseous or liquid, like hydrogen, methane, methanol, diesel or gasoline substitutes) from electricity and carbon as a resource. When the electricity isn from renewable sources, the resulting fuels are renewables and can contribute to mitigating climate change. other common words used for PtX are e-fuels, electro-fuels, solar fuels. As such these synthetic fuels, like sustainable biofuels are representatives of ‘renewable fuels’. 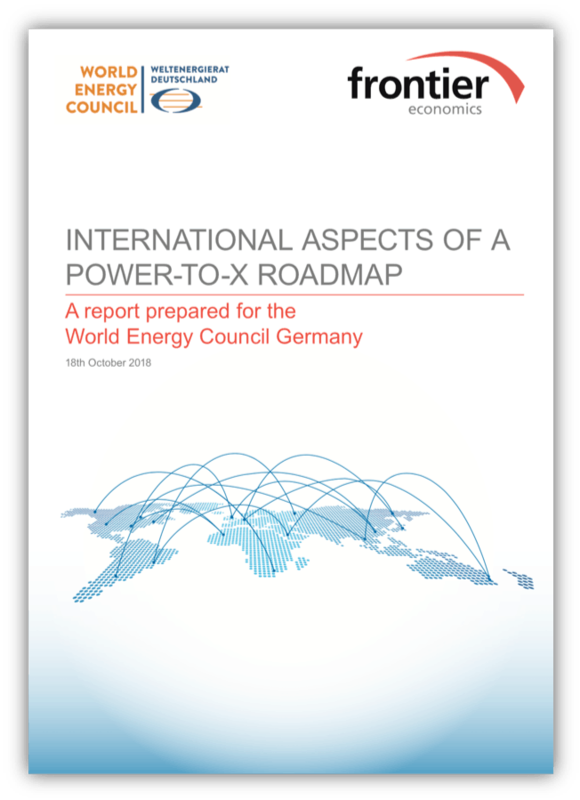 In Germany a wide range of reports on the topic have been published, see also this report in the Platform’s library. “The global energy system needs to fundamentally transform towards carbon- neutral energy sources over the next decades to meet the long term goals set in the Paris Agreement – to keep the increase in global average temperature to well below 2 °C above pre-industrial levels. National governments around the world have committed to highly ambitious goals to reduce greenhouse gases (GHG, including CO2) in the years to come. The Federal German Government has set the goal to reduce GHG emissions by 80% to 95% by 2050 compared to 1990s levels. Reaching this goal entails a massive change in the supply and utilisation of energy as we know it today. The increasing use of renewable energies will be a key element for the global energy transformation – alongside improving energy efficiencies. There are numerous ways to deploy renewable energy: directly in end-user applications (biomass, solar panels, geothermal etc. in heating), as electricity (e.g. in electric cars, heat pumps etc.) or as synthetic fuels produced from renewable energies. In this study, we focus on the latter – synthetic fuels generated from renewable electricity (Power-to-X or PtX), i.e. renewable or “green” fuels.1 These include green products such as hydrogen2, ammonia, methane, methanol, diesel, gasoline, and kerosene. The renewable fuels can be deployed across all sectors –such as transport, heating, industry, power generation – and replace conventional fuels from hydrocarbons as the primary energy source and feedstock. The aim of this study is to develop a dedicated roadmap for establishing a global PtX industry over the course of the next decades. We explain the need for international PtX production and trade on a global scale, explore potential PtX producing and exporting countries around the world and identify major pillars and milestones of a roadmap towards a global PtX market. Facilitate an adequate framework for investments via binding and non-binding policy measures, including cooperations and standards for trade. Finally, complex interdependencies between these core pillars and accompanying recommendations require a coordinated approach to develop a global PtX market.